* চিনিয়'ৰ ক্লাব অংশগ্ৰহণ আৰু গ'লৰ সংখ্যা কেৱল ঘৰুৱা লীগৰ বাবেহে আৰু এই তাৰিখলৈকে শুদ্ধ 15:31, 10 May 2014 (UTC). ↑ "FIFA Club World Cup Morocco 2013: List of Players" (PDF). FIFA. 7 December 2013. পৃষ্ঠা 5. http://www.fifadata.com/document/FCWC/2013/pdf/FCWC_2013_SquadLists.pdf। আহৰণ কৰা হৈছে: 7 December 2013. ↑ "Player Profile". Bayern Munich. http://www.fcbayern.de/en/teams/first-team/arjen-robben/। আহৰণ কৰা হৈছে: 24 April 2014. ↑ "UEFA Champions League – Players – Robben". uefa.com. Archived from the original on 9 September 2008. http://web.archive.org/web/20080927205707/http://www.uefa.com/competitions/ucl/players/player=57134/index.html। আহৰণ কৰা হৈছে: 3 August 2008. 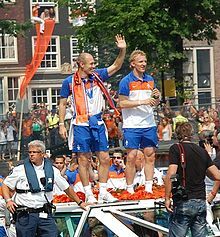 ↑ "Arjen Robben". ChelseaFC.com. Archived from the original on 16 June 2008. http://web.archive.org/web/20080616033519/http://www.chelseafc.com/page/ThePlayers/0,,10268~28226,00.html। আহৰণ কৰা হৈছে: 3 August 2008. ↑ "FA Premier League Seasonal awards 2004/05". Premierleague.com. Archived from the original on 20 June 2007. http://web.archive.org/web/20070620104736/http://www.premierleague.com/fapl.rac?command=setSelectedId&nextPage=enNewsLatest&id=678429&type=com.fapl.website.news.NewsItem&categoryCode=NewsSpecialFeatures&breadcrumb=sfsub_breadcrumb। আহৰণ কৰা হৈছে: 3 August 2008. ↑ "Real cash in on Dutch duo". sky sports. 28 August 2009. http://www.skysports.com/story/0,19528,11827_5520653,00.html। আহৰণ কৰা হৈছে: 30 August 2009. ↑ "Robben, Arjen" (German ভাষাত). kicker.de. http://www.kicker.de/news/fussball/bundesliga/vereine/1-bundesliga/2013-14/bayern-muenchen-14/28673/spieler_arjen-robben.html। আহৰণ কৰা হৈছে: 10 May 2014.